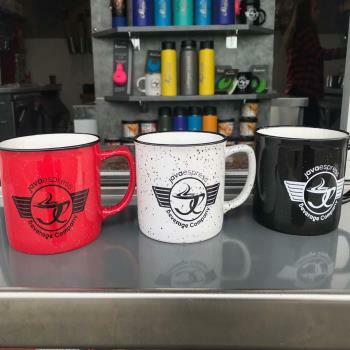 12 oz Porcelain Mug - It comes in 3 colors white, black & red! They have a camping kinda feel to them. Heavy - duty mug perfect for your hot cup of joe next to a campfire! 20 oz - Copper Vacuum Insulated Water Bottle. It comes in 2 colors blue, grey! They have a awesome mountain scene or a Java skull logo! This Water bottle is rad! Perfect for both Hot and Iced Drinks! 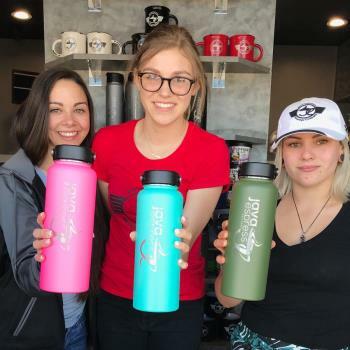 The Hydroflask brand is known for keeping your drinks at the same temperature all day long. Available in varies colors. Perfect for both Hot and Iced Drinks! 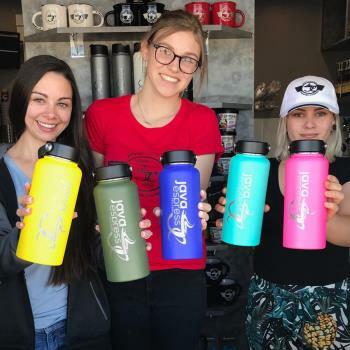 The Hydroflask brand is known for keeping your drinks at the same temperature all day long. 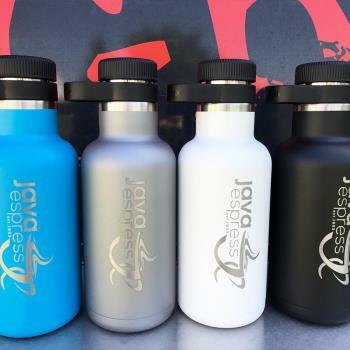 Available in 64 oz size - Colors - graphite, pacific, white & black. Perfect for both Hot and Iced Drinks! 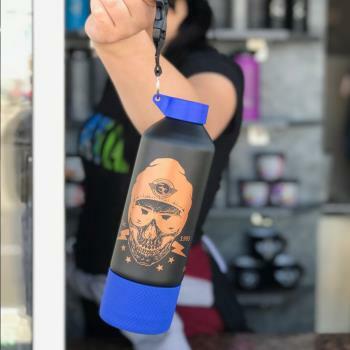 The Hydroflask brand is known for keeping your drinks at the same temperature all day long. Available in 40 oz size - varies colors! Perfect for both Hot and Iced Drinks! The Hydroflask brand is known for keeping your drinks at the same temperature all day long. 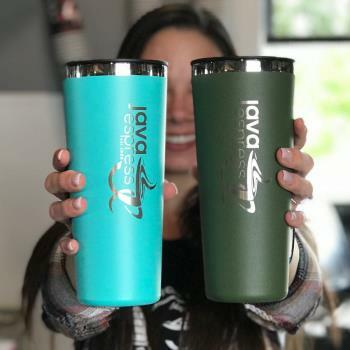 Available in 22 oz size - Comes in mint & olive color! 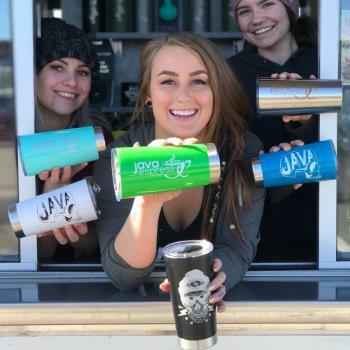 20.9 oz Double Wall 18/8 Stainless Steel Thermal Tumbler with Push-On Lid and Swivel Closure! It comes in white, black, green,blue, mint & stainless! One awesome Tumbler!